Yesterday I reviewed the teams that I thought could have done a little more this past hot stove season. Today I want to discuss the “winners” of the offseason. Lets get right to it. Los Angeles Dodgers: Notable Arrivals: Zack Greinke; Notable Departures: Shane Victorino, Adam Kennedy, Joe Blanton, and Bobby Abreu; Review: With the new ownership definitely came a new attitude with the Dodgers. Greinke was the “get” of the offseason for the Dodgers, signing him to a six-year $159 million dollar contract. I don’t like contracts like these for pitchers, but I do like what Greinke does for the Dodgers rotation. His arrival moves Billingsley to the three slot (where I think he will fit perfectly) and Kershaw can continue his ascension as “ace” of the staff knowing he has a more than established number two behind him. Greinke’s addition, coupled with the return to health of Matt Kemp and Carl Crawford, makes the Dodgers favorites in the division; even one the defending World Series champs reside in. Atlanta Braves: Notable Arrivals: B.J. Upton, Justin Upton, Chris Johnson, and Jordan Walden; Notable Departures: Chipper Jones, Michael Bourn, Martin Prado, Tommy Hanson, and David Ross; Review: The Braves went out and got themselves a pair of Upton brothers to usher in the post-Chipper Jones era in Atlanta. While the price for both was steep (Prado in a trade, B.J. for five-years, $75.25 million), the return could be great. What the Braves essentially did was acquire a 25-year old MVP-caliber talent and a 28-year old five-tool outfielder to go along with rising star outfielder Jason Heyward (who, by the way, is only 23). The leadership aspect of Jones, Prado and Ross will be missed, but not irreplaceable with McCann, Hudson, and an already maturing Heyward assuming that role. The Braves got younger, faster, and more athletic; which is what Frank Wren has wanted to do all along. They also brought in strong-armed Jordan Walden from the Angels, who was a 2011 All-Star and will make the games for opposing teams even shorter in a bullpen ranked tops in baseball by many. Cleveland Indians: Notable Arrivals: Nick Swisher, Michael Bourn, Terry Francona, and Trevor Bauer; Notable Departures: Shin-Soo Choo, Grady Sizemore, and Didi Gregorious; Review: Acquisition of Nick Swisher and Michael Bourn make the team much better offensively. The addition of Terry Francona and a new staff give them stability in the dugout as well. 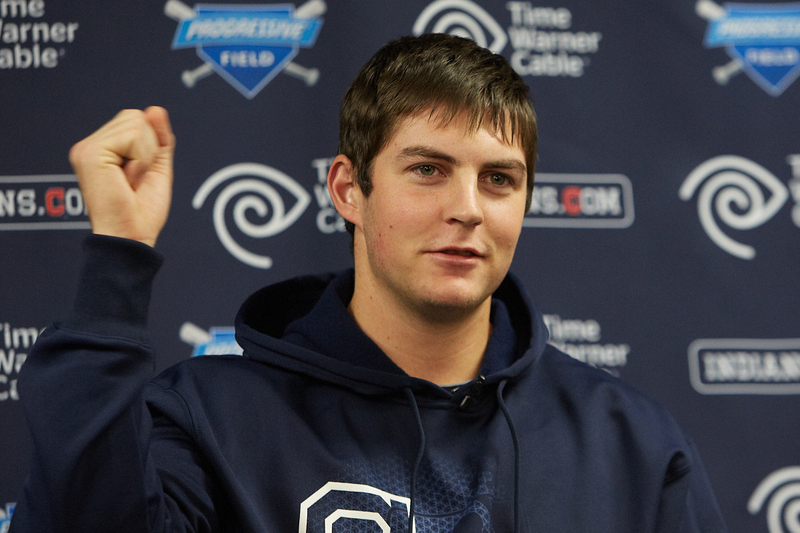 Masterson, Jimenez, and recently signed Matsuzaka, and the arrival of Trevor Bauer make the Indians an intriguing sleeper pick in 2013. Very well could win the Wild Card or even the division if cards played correctly. Drew Stubbs, acquired in the Reds, looks to be the odd man out in Cleveland and could be a great trade chip come deadline time or early in the year. Cincinnati Reds- How happy are Reds fans to have Walt Jocketty running this ship? This team has made solid move after solid move and have supplemented it with a farm system loaded with talented starting pitching this team is poised to make a run. I like the move to acquire Choo from the Indians (although I thought Bourn might have been a better fit). He brings high on-base ability and added power to an already loaded lineup. How Jonathan Broxton handles being back in the heat of expectations in Cincinnati. Toronto Blue Jays- Jose Reyes, Mark Buehrle, and the whole 2012 Miami Marlins gang look to re-write the script north of the border. I like the team on paper, but there is something to be said about a team that, essentially, finished 29 games out of first in the National League East trying their hand in arguably the toughest division in baseball. Washington Nationals- Pitching rich “Nats” got even longer in their rotation with the addition of Dan Haren. Denard Span trade gives them a legitimate leadoff hitter and center fielder, and they were semi-wise to re-sign LaRoche, if for nothing else his defense.